Do any of y'all collect tour books? If so, do you use dust covers or anything to protect them? Where do you store your collection? Hi Deena :) I use 12" x 15.5" white clamshell-type flat boxes for everything like that, and they're nice because they stack on bookshelves. 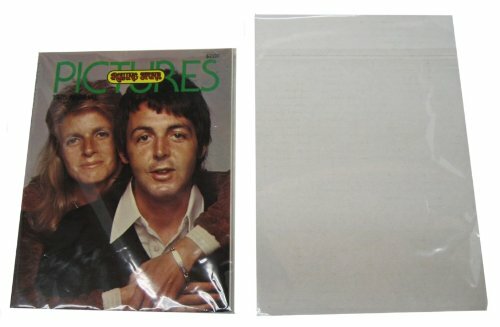 (I think I got them at Staples but I'm not positive) The tour books are in plastic bags, same with magazines, and for photos I use archival photo pages. Thanks! What type of plastic bags? Most of them are quite easy to get hold of at reasonable prices, and they are a fun way to look back over past tours. 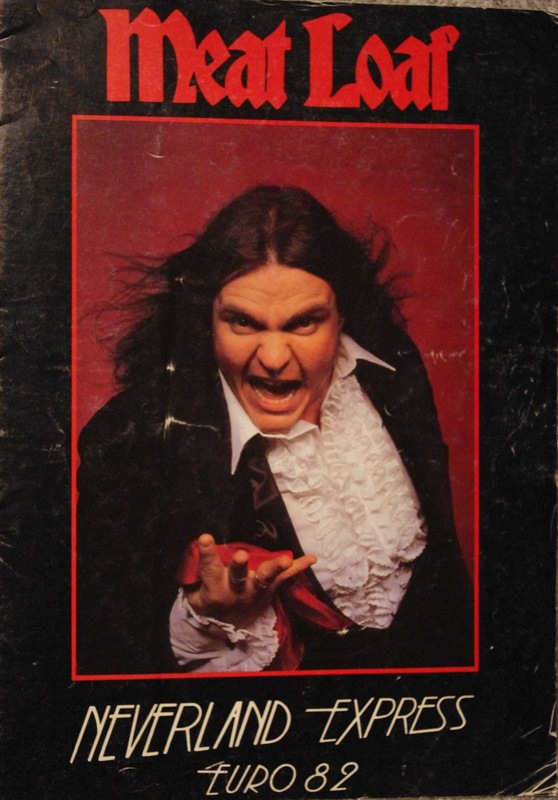 My own tour programs are kept in a desk, along with a lot of other Meat Loaf stuff. On the subject, the ealiest tour program I have is the Dead Ringer tour in 81. Does anyone know of earlier tour books? Where do you get those? And what size are they? A few years ago I was having one of those ruthless clearouts of my garage. I was determined to get shot of Mrs. Chairboys' junk. Looking back, I can now only hang my head in shame. As a trade-off I too had to dump something. It was either the football programmes or Meat's tour books. I should have stood my ground. The footy programmes to me were a definite no-no so the tour books went ( there weren't so many of those! ). But, I also recycled all the MLUKFC magazines and newsletters from the 80's and 90's. I had all the editions of the Neverland Express and now they are gone, gone, gone. I must have been going through a mid-life Meat crisis. Please forgive me. I should have stood my ground. Mrs. Chairboys was the real option. Only joking. In her defence, she does make a lovely chocolate cake and gave me three wonderful children. How about the subject of festival tour books? I've got a couple featuring Meat from the Liverpool Summer Pops, and one from my birthday in 1983, Monsters Of Rock from Donnington. Off the top of my head, I don't think they did a tour program for those few shows. I wonder if tour books are going the way of vinyl records? Last edited by Adje; 15 Nov 2012 at 21:58. Woohoo! (I was thinking Rats, I don't have the 1981 one.) I just printed your list and tomorrow I'm going to see how many of these I have. Thanks so much for the list! I was wondering the same thing Maybe they'll have one for the big tour next year ? Page generated in 0.09478 seconds with 14 queries.